Concerning information shared with us by Dr. Michael Fox and research scientist Dr. Anthony Samsel. Glyphosate in pet food can have deadly consequences. Monsanto’s Roundup herbicide which contains the active ingredient glyphosate, recently designated a possible carcinogen, is actually absorbed by GM (genetically modified) crops genetically engineered to be resistant to this herbicide. Most corn, soy, sugar beet, cotton, and canola produced in the U.S. is GM, as is much imported rice. Glyphosate is also used to dessicate wheat and other crops before harvesting. (Title of the peer-reviewed research article by Anthony Samsel and Stephanie Seneff including these findings will be published in September in a special issue of The Journal of Biological Physics and Chemistry is: Glyphosate, Pathways to Modern Diseases IV: Cancer and Related Pathologies. There is a site which was launched by the GMO Free News to help raise money for such research: Crowd Sourcing Campaign: Glyphosate #‎GMO Laboratory Research http://www.gofundme.com/xrp4h9g). Glyphosate reacts at the molecular level with nitrous acid from nitrites to form N-Nitrosoglyphosate. Monsanto found increases in N-Nitrosoglyphosate in the excreta of laboratory animals over the levels delivered in dosing during radiological experiments. They attributed it to glyphosate reacting with nitrites. In our new, soon to be released paper, I have taken it a step further and more particularly would identify nitrous acid, which occurs as a result of oxides of nitrogen i.e. nitrites in cellular metabolism, as a more open invitation for immediate formation by chemical reaction to N-Nitrosoglyphosate. The reaction product which Monsanto found, according to them, was a result of metabolism and chemical reaction in the rat and occurred at low levels. It is disturbing to also note that N-Nitrosoglyphosate is not the only concern of the metabolites and reaction products found in their animal experiments. Monsanto showed a number of metabolites other than Aminomethylphosphonic acid (AMPA) which included an unidentified compound known as compound #11 occurring with frequency equal to or greater than N-N-nitrosoglyphosate. We still do not know what that compound is or what its effects might be on biology. In my opinion, Glyphosate should never have been brought to market based on those early studies. Thank you again Susan. You’re the best. I have just about had it with these huge companies that just don’t care about ANYTHING except the almighty $!! They most certainly do not care about consumers, whether it be human of four legged! I am to the point now where the dogs in my house will get home cooked meals and bones for their teeth and gums. There never used to be this awareness in foods when I was young and you just bought Purina products cause they have been around longer than I have been alive, so you figure they are “safe” for your pets. I now know better. When you read all these labels, you see how much “stuff” is in there or NOT in there. It truly is appalling. I really thank you Susan for what you do and I appreciate beyond words. I agree, Batzion. Just wanted to add that GreenMedInfo is an evidence based resource utilizing peer-reviewed published scientific research, unlike the unpublished industry-funded studies that got our food system into the largely unregulated toxic mess it’s in today. J King, thanks for including Robyn O’Brien’s talk. Everyone, pet parent or not, needs to see it. Unless we can buy organic, GMO-free, grass-fed, etc., we are out of luck. Monsanto’s Roundup Ready is in our food as well as pet food; it’s in everything. I think I’ve signed every petition known to man and called my reps. offices to clean up the food system, both ours and our pets. It seems to me that none of these actions work. As long as folks in congress are bought and paid for by the lobbyists for Big Ag, Big Pharma, Big Whatever, we are sunk. The only possible option is to NOT buy their stuff. Even (some) people who don’t care about animal welfare, cruelty, safety, etc., change their buying habits when they learn of the toxins, chemicals and antibiotics in the food. So, it’s slow but steady, but as we learn, we change. P.S. I have learned SO much from Susan thru the years and can’t thank her enough! I really appreciate this site and all the work involved to help consumers understand what is in our pet food. What I’m understanding from this study is not that it is the GMOs per se that are causing the problem, but rather when Roundup (glyphosate) is used on the crops, and then the treated food is mixed with a preservative added to many pet foods. Also that glyphosate might create the same possible carcinogen within the body during natural cellular metabolism. I’m not trying to discuss anything about safety of GMOs here or labeling thereof, but I’m trying to simplify my understanding of this study–that of course Roundup is again shown to be very dangerous. Plus it looks like the “grocery store” brands by the big advertisers are major culprits as usual. I feed my dog as well as I can with hopefully “high quality” kibble and raw foods, but I want to provide people I talk to with the proper information backed by science. It’s hard to get friends to change their ways when it’s so easy to buy an inexpensive pet food right while they are doing their grocery shopping, but hopefully I can share the information I learn here to convince them with facts to feed their pets better. I’ve share some facts with my brother, and now he tells his friends. Score! I agree with a lot of what you’ve said, especially that Glyphosate is a huge problem, but the GMO plants themselves aren’t innocent. Round-Up Ready GMO crops are of no advantage when grown without Round-Up, so if the plants are or aren’t overtly toxic, it’s is a moot point because they will absorb the herbacide when sprayed. And the BT versions of GMOs are toxic because every cell of the plant produces the BT toxin. Great for killing insects, but also for killing of the good bacteria of microflora of the mammalian gut. More and more we’re learning how vital the microflora (or microbiome) is to health, both our pets’ and our own. Just emailed TWO California Senators to VOTE NO on HR 1599. This is such an enlightening post and it highlights once again the appalling disregard for human and pet food safety and the requirement (or lack of) for full disclosure of ALL ingredients. We deserve to know what is in the food we buy for ourselves, our families and our pets. So much for “truth in labeling!” This website http://truthinlabelingcoalition.org also has up to the minute posts on the subject of GMO’s, Labeling and the Government. I think I will just go curl up in a corner and cry. Awesome Sage! I would do the same, but I’m not American. If you are in the USA, please, please, please, urge your senator to vote NO on HR 1599. My husband’s IBD turned into cancer and he had his entire colon removed – he is not an old guy. IBD is reaching epidemic levels. Now our Stafford has IBD. I am a little concerned about this. Then we have to deal with a bill designed to forbid the labeling of GMOs called the “Safe and Accurate Food Labeling Act of 2015.” It sounds a lot like “1984,” but Orwell didn’t anticipate Monsanto. Many wet PET foods contain it as do a shocking number of human foods including “natural and organic” brands. This website http://www.cornucopia.org/shopping-guide-to-avoiding-organic-foods-with-carrageenan/ (also referenced by Susan) has a long list of organic foods that Carrageenan is (and isn’t) in. Definitely best to look for it in any packaged foods that you buy for your family and your pets and find an alternative whenever possible. It’s even in ice cream and frozen yogurt! Yes I have read about it – thanks to this web site. I was actually feeding canned tripe to my IBD dog without realizing it was bad because it had Carrageenan! I now feed freeze dried tripe from New Zealand. Sage, not Susan! I really, really need to proof before I hit post comment. Monsanto’s own guide to pre-harvest burndown. In addition to wheat and canola, approved and used for peas, lentils and beans. What ingredients have skyrocketed in dog food as a replacement for grain? Peas, lentils and beans. Another wonderfully informative, if heartbreaking, article. Thank you again, Susan. I recently read an article that Glyphosate has recently been linked with the spike in Gluten intolerance. I also use lentils and chick peas in my home made recipe but now i am using Organic Lentils and chick peas to hopefully escape this junk. put under the water plate by builders. She died at the height of flooding of hepatitis, as I was running fevers every day from being in the rain with water pumps. I have 4 cats, all under the age of 10, yet 3 of them have chronic kidney failure for no apparent reason. I’m sure it’s from the dry food. Does anyone know if switching them to plain chicken & fish would make a difference? Chicken and tuna are actually cheaper than dry cat food, but the salt in canned tuna would probably be a bad idea. I also don’t know how much d*mned RoundUp is concentrated in chicken meat. We’re all being fed weed killer, except for the greedy slobs making the stuff. Today we had to put to sleep our beautiful sweet service dog, Bailey. She had been diagnosed 2yrs ago with angiosarcomas of the nasal cavities. We switched her to an all organic, gluten- free diet. Now I find out some of the dry food we THOUGHT was ok for our girl, still contained the chemicals that probably killed her! So frustrating!!! We started feeding our dogs Kibble & Bits and the oldest dog Jake, started having seizures. They got more frequent as time went on. We took him to the vet after the first one and the vet said some dogs do this when they have a respiratory infection but I just couldn’t take her explanation so I did research. I asked my husband to change the dogs feed, which he did, and Jake’s seizures got further and further apart, and the actually 4 months between the last two at that time. Then my husband gave it to them again because he got caught that the feed was all gone and on a holiday, so he got the old feed which he saved and fed it to them again. Then not a few days later, Jake had another seizure. I asked my husband if he gave them Kibble & Bits and he said he had to because he ran out of the other feed. So at that point I had a huge fit, went and got the bag of Kibble & Bits and dumped it in a ditch across the street, as I live out in the country. I figured the rats might eat it. I then told him to never ever ever feed our dogs Kibble & Bits again. Jake still has seizures and they vary, usually about one a month where he was having them every 10 days. When he comes out of the seizure he is confused and doesn’t know us. He just walks around and sometimes in circles. I am now able to feel when one is about to hit him. I don’t know how but I know a day before he is about to have one, just feel it. So we kept him out most of the day yesterday because I knew he was going to have one and he did. But he expels, slobbers and pees every where when he has one.I’m hoping they eventually quit but it angers me that these companies out this poison in our dogs food and in our food. My cat, also, has been having seizures! 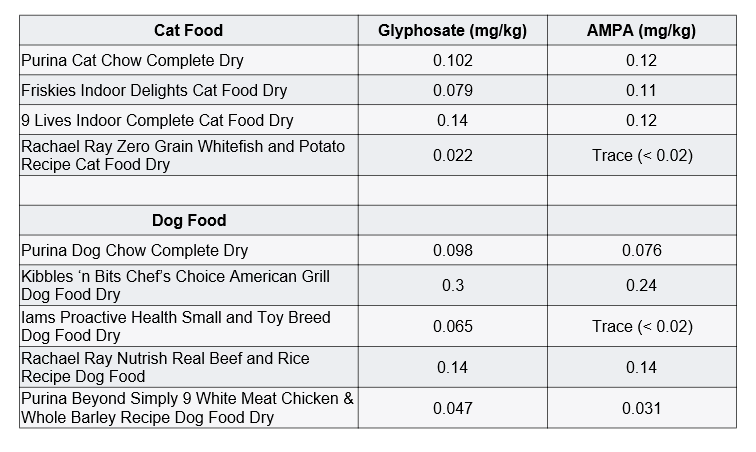 At first, I suspected GMO corn in all cat foods, but then linked to ingegredient L – tryptophan in Rx cat food – Royal Canin Urinary Calm (has both corn & l-Tryptohan). Since withdrawal of above food he has been much better. Initially the Veterinarian disagreed with my opinion. Only after ruling out a brain tumor (and other related diagnosis) and seeing improvement (stopping food), she finally changed her mind. I have since avoided giving any commercial foods with corn. However, this morning, I gave hair ball treats (not thinking?!?) with corn and he experienced a full blown seizure within minutes!!! This is so terrible, as I can’t help worry for all animals fed harmful ingredients – even rats! No animal should suffer! I am stuck with a hundred dollar bag of food that I don’t know what to do with – I don’t want seagulls at he dump getting in to it! Thank goodness, only one of my cats, albeit one too many, has a severe reaction. However, I have noticed all my cats seem to itch after consuming food with corn. I found the water bowl contaminated by other cats (who aren’t sensitive) following an attempt to allow them to eat the food away from my cat who can’t. Sorry if not a clear explanation. I don’t suggest allowing anyone in household to eat questionable food as residue in water bowl may cause problems. I, too, have an allergic type reaction to corn (GMO) – my hands swell, itch and bleed. I never had food allergies before GMO’s appeared on market. The seizures are extremely worrisome and dangerous!!! If your animal is experiencing seizures, you must be extremely carefulto avoid collateral damage! The animal could fall and or hit a hard and or sharp surface and you risk getting bit trying to intervene! This happened to me – not once – but twice! Trust me, you do not want to be bit on the hand or wrist by a cat period, especially one having a seizure! Their jaw locks and doesn’t release until the episode resolves. I never imagined such a horrible infection (joints & tendon) could result. Cellulitis is not anything I wish on anyone!. As the pain was the worst I have ever experienced! The pain from the swelling lasted for weeks! Months later I am still having problems. This is serious business! Foolishly, I always thought cat bites were over exaggerated before experiencing it first hand (no un intended). This morning, I am more concerned than ever… How can I be certain about non GMO ingredients?!? My hands tell me if I have eaten them, that I can handle (pun intended) but, I can’t stand the thought of my cat going through another seizure! Please, keep in mind the dangers (humans and pets)of the following ingredients : L- Tryptophan (and anything that effects serotonin receptors ie., antidepressants, calming ingredients-prescription and over the counter), GMO corn, and glyphosate (Round Up). To look up negative effects for L – tryptophan, research EMS and serotonin syndrome. After extensive research, I found a correlation between a vitamin B deficiency and or magnesium deficiency and those more likely to suffer negative side effects from tryptans. Also, vitamin B complex injection (series) helps reverse side effects. Activated charcoal if within 15 mins. of ingestion, but not longer. A cortisone injection (low dose) is helpful. I have been utilizing both with good results. Note: I read all of the late veterinarian, Dr. A. Plechter’s, books and found useful – lessened fears surrounding low doses of cortisone as a treatment for skin, allergies and adrenal problems; Neroplex (homeopathic remedy) for seizures most useful/ effective by AllergicPet.com (they have some good info regarding seizures – They found a connection between seizure disorders and the liver, recommending supportive measures be taken). The homeopathic remedy is tasteless therefore, easy to dose cats. The tablets are bitter and, unfortunately, my cat won’t accept. Good luck everyone and best wishes! IV fluids for kidney failure, vet. Will show you how – not hard gets easier. Really should avoid dry food, even Rx. Don’t give up hope -it can be reversed! All depends. I’ve had younger cats totally bounce back! My cat 22 1/2 yrs. lived months longer with IV fluids, comfortably (surprised vet) before passing. For Gretchen Church – my deepest sympathies go out to you. After feeling much guilt and remorse after one of my cats passed, someone told me that my cat would want to be a source of joy, not sorrow. (Grief is normal and healthy, mind you. But, torture surrounding what if’s is not.) That made sense and helped me tremendously. I like to believe that I bring my cats joy and not sorrow, as they (living & deceased) have brought me more joy than I could ever repay! Tuna (low sodium/rinsed) is ok once in a while – too much Vit. A and (now) Mercury. Plus cats need taurine (can add supplement from health food store). I have one cat that will only eat junk food. I know better not to allow a cat to go without eattting, especially if overweight, due to fatty liver disease. Fatal! Cats can be tricky, but keep trying! I once found cats will eat if coaxed in strange ways, like spoon fed when all else fails. Finally, when purchasing store bought pet food, it seems there is always one or two ingredients that aren’t desired or good. So, unless preparing yourself, figure out what is unacceptable and do your best with what you have to work with (cat’s preference, price, time, money, etc.). Most important give your cat lots of love and remember worry and fear are probably the most toxic of all!